Blepharitis (inflammation of the eyelid) is a persistent eye condition that affects many people. Generally, blepharitis is not a serious condition. But if left untreated, blepharitis can evolve into a chronic condition and even distort vision. 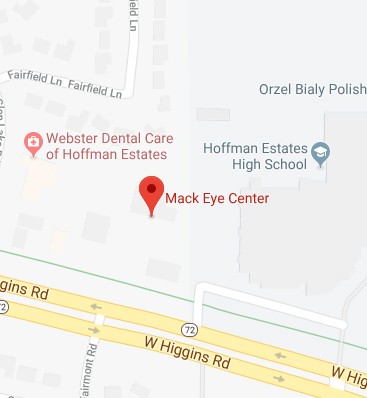 If you are experiencing irritation from blepharitis, Mack Eye Center can help you find the relief you need to see properly and enjoy everyday life. To learn about the treatment options we offer, schedule a consultation with a member of our team or continue to read more about the condition here. 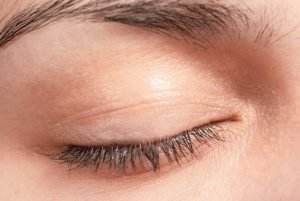 Blepharitis is a common and ongoing condition where the eyelids become inflamed or swollen with oily particles and bacteria coating the eyelid margin near the base of the eyelashes. 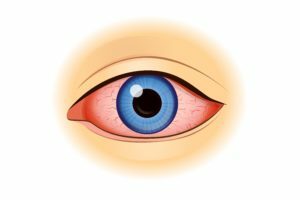 While the underlying causes of blepharitis aren’t completely understood, many cases are associated with bacterial eye infections. While bacteria on the surface of the skin is normal, large amounts of bacteria around the eyelashes can cause dandruff-like scales and particles to form along the lashes and eyelid margins. Patients that are at risk for blepharitis include individuals with systemic diseases such as dermatitis and eye conditions like dry eye, conjunctivitis or keratitis. The risk of blepharitis increases with age and with the use of certain medications. Mild cases of blepharitis can typically be controlled by following simple daily hygienic measures. You can apply a warm, wet washcloth over the closed eyelids for two to three minutes to soften and loosen the debris on the eyelid/eyelash. This also helps break down oil from nearby oil glands. Gently scrubbing the base of your eyelashes using a clean washcloth or cotton swab for 15 seconds per eyelid can provide relief. In many cases, blepharitis cannot be fully cured, so it is important for patients to take preventive measures to keep the eyes and eyelids clean and healthy. If your condition is severe, the trusted eye doctors at Mack Eye Center can prescribe an oral antibiotic that can be taken at bedtime. These antibiotics help keep symptoms under control. Because these antibiotics increase your sensitivity to the sun and tanning beds, it is important to stay out of the sun, wear protective clothing and apply sunscreen. In many causes, oral antibiotics can be paired with artificial tears to treat the dry eye symptoms that often occur with blepharitis. If you are experiencing irritation from blepharitis, the trusted eye doctors at Mack Eye Center can help. Proper treatment for blepharitis varies depending on the symptoms and severity of the condition, and therefore a consultation with one of our eye doctors is essential. Contact our team to discuss your symptoms and treatment options. Please call us today at (847) 755-9393.